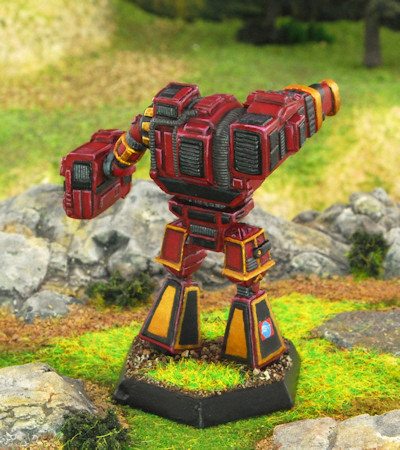 This mini was featured on the cover of the Liao Heavy/Assault Lance Pack. 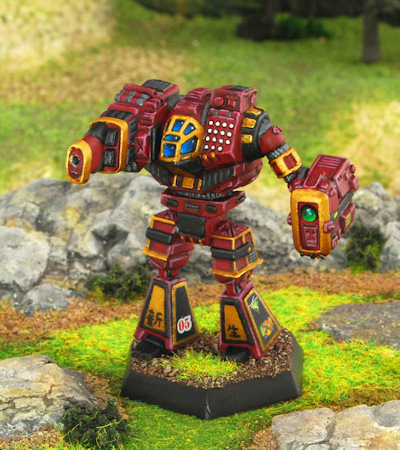 The Prefectorate Guard employs a burgundy, gold and black paint scheme. Per FM:Capellan Confederation, page 54. The regimental crest shows a pair of crossed lances with green and gold pennants held in mailed fists. Per FM:Capellan Confederation, pages 52 and 54.